Christian Healthcare Ministries Reviews. Read Our Reviews. 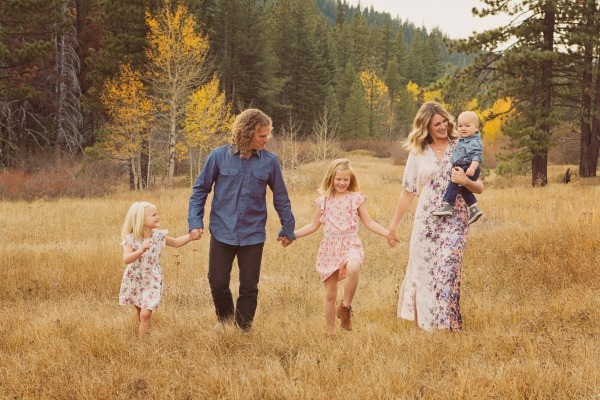 Hello and welcome to our website of Christian Healthcare Ministries (CHM) reviews by David and Rebekah Schroeder. Our family have been active members with CHM for over 10 years. We created this blog to further inform other Christians who may be considering to get a CHM sharing type health coverage. Considering the recent news and changes in the health care world, things can be overwhelming to say the least! YES – CHM does qualify under the The Patient Protection and Affordable Care Act, also known as Obamacare signed in 2010. 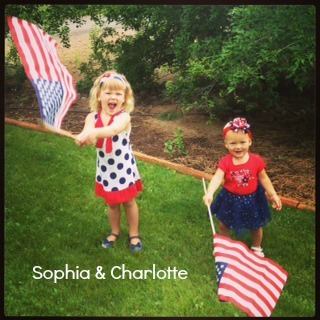 We had our baby girls Sophia and Charlotte using CHM the entire duration. They were very pleasant to work with and we were able to pay our medical bills in a timely manner. We can first hand vouch for the excellent support, payment response time and coverage with CHM. One of the best things we like about Christian Healthcare Ministries is the ability to choose which ever doctor you like. Most traditional health insurances are so limiting in regards to which doctor you can see and also when! They give us so much more flexibility. Traditional health insurance is so managed and limiting that it can really be annoying. CHM has three different coverage options you can choose from. There is such great flexibility and choice which is great! We have been members of CHM for over 10 years and have had excellent results and would recommend their services to anyone. We have referred several satisfied friends and family to CHM over the years. Feel free to make any comments or post any question you have below and we’ll be happy to respond. We trust our CHM reviews have been some help to those looking to join CHM. Another great incentive CHM offers is their referral program. CHM will give you a complimentary month’s coverage if you refer someone into the ministry. If you are going to sign up with CHM, we would be very grateful if you could use our name and ID as your referral. Our family would be most appreciative! CLICK HERE to visit CHM website! Whether you’re a longtime member or recently joined the ministry, here are 10 interesting things you may not know about CHM. 4. Low administrative cost: CHM administrative costs for several years have been one percent, freeing up funds to fulfill the ministry’s purpose of sharing fellow Christians’ medical bills. Our aim is to be excellent stewards of the funds members entrust to us, recognizing that it’s God’s money to be used for His purposes. In addition, CHM hasn’t raised monthly financial gift amounts in nearly 10 years! 6. CHM has your back: The sole purpose of CHM’s Member Advocate department is to work with healthcare providers to make sure you receive the care you need at the best possible price. These CHM staff members are knowledgeable, experienced and compassionate. In addition to operating behind the scenes through direct contact with providers, the Member Advocate team is available to help coach you on how to interact with your providers, request discounts and apply for financial assistance. 8. Choose your own providers: You can receive care from any doctor, hospital or clinic you prefer, as long as the treatment falls under the CHM Guidelines. You can select specialists and hospitals known for being the best in their field without concern of being penalized for going outside of a network. However, if you’d like some guidance choosing a provider, CHM has compiled a list of national, regional and local healthcare providers and services at chministries.org/providerlist. 9. Members stay in touch: With each monthly billing statement, members receive a prayer card listing the name and contact information of a fellow member with a prayer request. Members reach out to these brothers and sisters in Christ by praying for them and sending encouraging cards, letters or emails. Likewise, the CHM monthly newsletter lists member prayer requests and features a section devoted to pre-existing medical needs (the Prayer Page). Members frequently report receiving dozens or even hundreds of messages from fellow members and often say that the encouragement they received from their fellow Christians came at just the right time and meant as much—if not more—as the funds sent to share their medical bills. From time to time, the CHM staff hears of members who don’t know each other becoming pen pals or meeting in person because of the prayer card ministry or the newsletter. One member even told us she was thrilled to reconnect with a long-lost relative after seeing his name on the Prayer Page! 10. CHM works with groups: CHM may be a healthcare cost solution for your church or ministry. CHM has hundreds of participating groups—all of which are Christian organizations with all-Christian staffs. Under the healthcare law, groups must follow specific requirements to join CHM; however, our staff can guide you and refer you to competent and knowledgeable tax and employee benefit professionals. See chministries.org/groups for info. Below are some pricing charts you may find interesting. You can find more information on the pricing here. The nice thing to remember is regardless how many family members there are in your family, you never pay more than 3 (three) units. Example: A family of 5 would still be charged for 3 units = $150/unit x 3 = $450 (gold plan). We had our 3rd child, Henry last fall. We used CHM the entire process and it was a very pleasant experience. We simply submitted all our bills as they came in from the doctors and hospital. CHM has an online submission process which really streamlines this process. We would then receive an email stating that CHM had received our bills for review. After a little time we then receive a check in the mail for the amount of all the submitted invoices. The nice thing is they send one large check covering the amount of all the smaller invoices together. This is nice rather than receiving a bunch of smaller checks. Thanks Christian Healthcare Ministries for the great services you offer our family. We continue to support CHM and encourage friends and family to sign up. If you sign up, please be sure to use our CHM Member ID: 112668 as your referral. Thank you!! CHM now has a new website design and interface. Each user now has the ability to log in and create their own account. Within each users account you can now upload invoices directly to CHM via the internet. There’s no need to mail paper statements anymore as this can all be done online via upload interface. This is very nice and streamlines everything making it much easier to use. They also provide a status of the statements you upload whether ‘pending’ or other. CH Ministries offers Brother’s Keeper. Brother’s Keeper is a supplemental coverage that covers medial needs in excess of $125,000 per incident. This is an add on type coverage CHM offers to members if they so chose. Christian Healthcare Ministries has a calculator that can give people an ‘instant quote’. You can use this cool feature to quickly enter the number of people in your family, the level of membership you wish to have and then it will give you your monthly share amount. This will tell you exactly how much your monthly share amount will be. Look for the RED button in top right of page that says Instant Quote. We’re glad that we have the CHM plan once again as we embark on another journey with our new baby. We sure are glad to have maternity coverage on our plan with Christian Healthcare Ministries. Our baby is due in the spring so we’ll have the winter to prepare. Thanks again for checking out our review of CH Ministries. I’m sure we’ll have great support from them as we did with our first baby. Please use our Member ID as your referral upon registration. That’s right, you heard it…Sophia now has a baby sister – Charlotte Rose! She was born naturally and healthy in our local hospital. Once again, CH Ministries was there the entire duration. For those of you who many be new to CHM, let us give you some tips if you are planning to have a baby and use the maternity coverage of CHM. We would recommend switching to the GOLD coverage. There have been a few changes in CHM policy since our 1st child that we learned about. Basically, the GOLD plan will cover everything in regards to the delivery from start to finish. The GOLD plan will also give you much more flexibility in regards to where you seek healthcare and who you want to use. 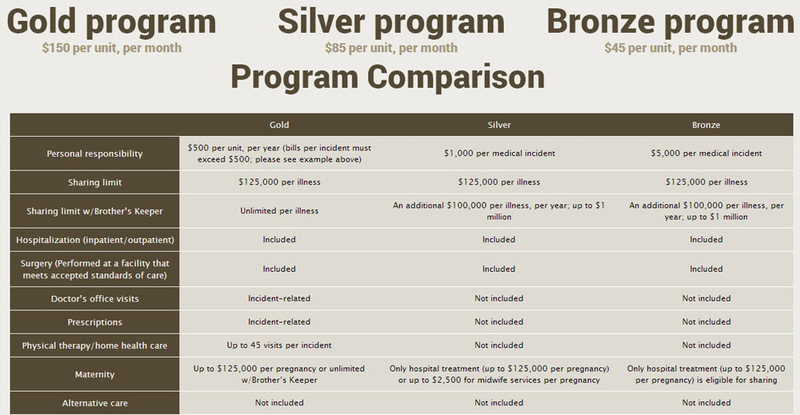 The Silver and Bronze will only cover your bills that are services rendered in the hospital. This is something to take note of. In addition, if you do decide to switch plans, be sure you switch ahead of time. CHM will make changes effective the 1st of the following month you request the change in plan. So be sure your ‘conception’ date is within the month you have the coverage you so desire. We would recommend you speak with a representative from CHM to answer any questions you my have regarding the maternity coverage. Is Christian Healthcare Ministries insurance? Christian Healthcare Ministries is not an insurance company. CHM is a nonprofit health cost sharing ministry for Christians who can voluntarily share each other’s medical bills. It is not an insurance company. CHM premiums are much less than traditional insurance companies which makes it quite appealing to Christians looking for an insurance alternative. How much is Christian Healthcare Ministries? Gold membership is $150 per unit/month; Silver is $85 per unit/month; Bronze is $45 per unit/month. One unit per individual with a maximum 3 units charged per family. There is an optional add-on called Brother’s Keeper $40 setup fee and quarterly variable payments to maintain. What is Christian Healthcare Ministries? Christian Healthcare Ministries is a Christian organization where fellow believers share each other’s medical bills. It is not an insurance company. CHM is an eligible option covered under the national healthcare law for people of the Christian faith to have healthcare coverage for potential medical expenses. CHM Insurance is not technically insurance. CHM Insurance is a Christian based organization where you share medical bills with other Christian members. CHM Insurance does qualify under the Patient Protection and Affordable Care Act signed in 2010.